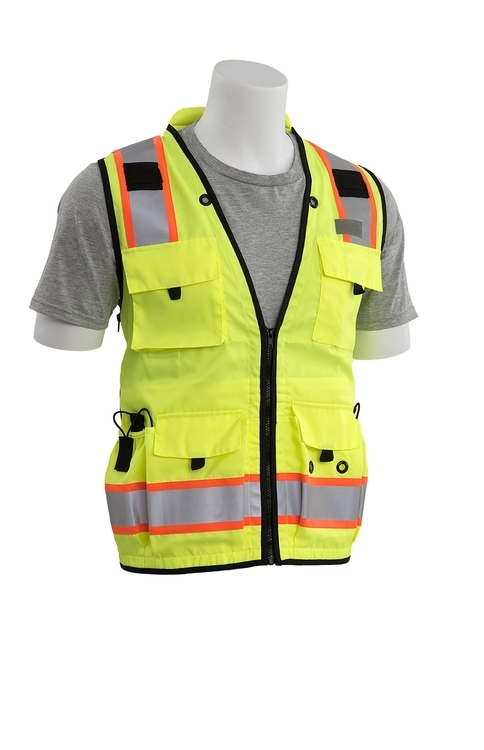 ANSI 107 Class 2 complaint Surveyor's style vest. Solid front, mesh back. 15 pockets: 2 outer waist expandable, 2 ext waist, 2 int waist, large back with zip access, 2 ext chest w/ 4 pen compartments. Mic tabs both sides. Grommets.